But if you're not in the Jacksonville or Tallahassee, FL areas (where I can either supply you or vouch, personally, for certain suppliers), how can you know if the mix you're considering is worth your while? Ask gardeners (or small farmers) if they know anyone 'round town who sells a compost-mix in bulk, by the truckload. Then ask what they think about it. If the answer is anything less than, 'It's like magic!" you don't want it. Trust me. Great soil will make beginners grow like veterans; lousy soil will make the most experienced master gardeners hang their heads in defeat. 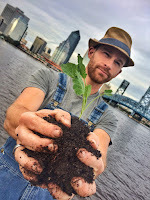 A Riverside Community Gardener here in Jacksonville says, "I don’t think we understood what good soil meant…..until [we bought your Magic Mix]. The tomatoes are 6+ feet tall and the cucumbers are so prolific we are giving them away!" Valerie Herrmann of The Food Park Project who is co-managing Clara White Mission's White Harvest Farms says, "Best compost... in town." I literally have people driving by my house who, seeing my food garden out front, back up, pull over & park, walk up to my front door, and knock. Dog barking, I answer the front door. "Hi," they say, "I was driving by, and I just had to ask, 'What kind of dirt have you got in your garden?' It's looks beautiful. It's some kind of magic!" Suzanne, a customer says, "Your soil makes me feel like a master gardener." And finally, Sylvia, a customer, she calls me seasonally to order more of "That magic soil." Now, the funny thing is that, personally, I feel my Magic Mix, though great, could be even better, especially in terms of its micro-biological diversity. That's why I'm partnering with Jacksonville's Allen Skinner, who is a student of Elaine Ingham, one of the foremost soil biologists in the country. Allen is helping me take it beyond magic. Soon it'll be "Extra Magic Mix," I suppose. Names aside, I'll let you know when I'm ready to give my Magic Mix an "Overalls A+." The point is: If you ask about a bulk compost mix (mine or otherwise), and people say things like "Yeah, it's okay," that's not good enough. Keep looking. If, on the other hand, they use words like "magic" or "It's amazing!" you've found something worth your while. The long-haul, hard(er), DIY route to building soil involves a few techniques that you may have heard of: mulching, composting, and cover cropping. Rather than dive into how-tos right away, let me share a few childhood gardening memories to hang the details on. If you recall from my last post, "Geeking on Good Soil," my family took a trip to Indiana when I was 11. I stood amazed under the shadow of 10-12ft tall cornstalks and wondered aloud at the jet-black soil I picked up in my hand: "What did they put in their soil?" My mother answered, "That's just how the soil in Indiana is." That answer wasn't good enough for me, so I went digging. This was by-and-large pre-Internet, which meant that I was riffling through the great human-pedia, aka every single person I encountered- gardener, farmer, or not. Before we made it back to Florida, I learned that "organic matter" is what makes soil dark. Then of course, I had to figure out what "organic matter" was and what types of organic matter I had access to. In my case, oak leaves were our wealth. We had tons of them, free for the raking (which I had to do anyway), and come March, the neighbors set out bags of them by the dozens. Yay, presents! Well, first I had to "put together" a couple things: #1 - my Indiana lesson plus #2 - I'd grown up playing in a wooded park in my neighborhood (Lucky me! Truly.) I had noticed that there was, in fact, a dark, rich soil layer just under the leaves in the woods. Every year, more leaves fell, but they never really built up, which meant they must be breaking down, turning into that rich... you got it, "organic matter." Knowing no other way, I prepared my garden traditionally by "turning over the soil" with a shovel, later using a tiller like my grandmother. I laid off my rows, planted my seeds and starts, and then, once everything was up about 6 inches tall, I'd spread a first layer of oak leaves, about an inch thick. Once everything had grown about a foot to 18 inches tall, I added another 8-12" of oak leaves. By the end of the season, sure enough, a little layer of organic matter was beginning to accumulate as the leaves broke down. Better yet, there were several un-intended benefits of mulch including: no weeds had a prayer of sprouting. And watering? Since the soil was so protected, it took a long time and a lot of heat to dry it out, so watering once or twice a week was sufficient. Additionally, the presence of mulch also provided food for soil life, most noticeably earth worms, which kept the soil loose. By the time I cleaned up my garden as summer came to a close, there were bare spots in the mulch where weeds were starting to take root. As a child I didn't grow a fall garden because I didn't know any better, so I pulled the weeds, and then I banked my garden down for the winter. I used more leaves, whatever kinds were available, about a foot thick. Come spring, I started the process again by turning under and mixing the soil and decomposing leaves. Every year through the end of high school, this is how I managed my soil. 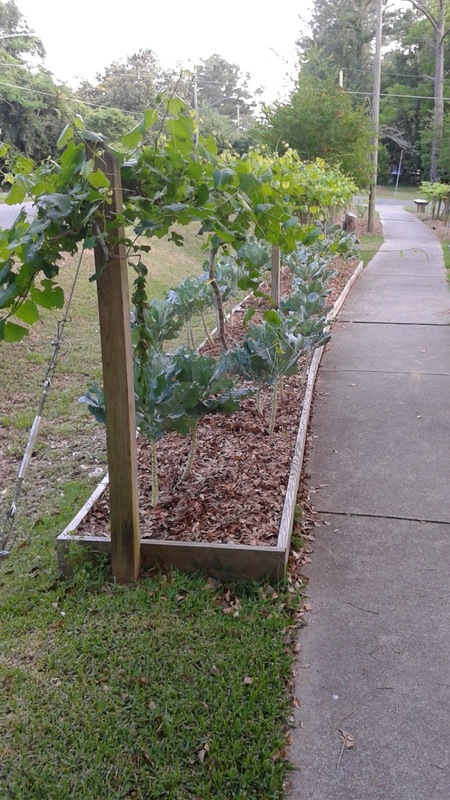 I know mulching was effective in improving my soil not only because my vegetables got bigger but also because when I was 14, the city showed up to build a sidewalk in the right-of-way where my garden was. You could see a noticeable contrast between darker soil in the garden and the lighter surrounding soil, and I was devastated at the thought of loosing "my life's work." But then, Mom to the rescue! She asked the sidewalk crew if they could use their front-end loader to scoop up the the garden soil and set it to the side. They agreed, so I ended up re-creating my garden right next to the sidewalk (which set in motion its own story). And that's the year I banked my garden for the winter with a thick mulch of woodchips. For what it's worth, the next spring, I had the most productive season in all my school days. Okay, enough stories about mulch. Just note that you don't ever want to till in or turn-under fresh mulch right before you plant. The introduction of all that raw carbon (aka soil food) will cause a bacterial bloom that will "bind up" all the available nitrogen in the soil (i.e., bacteria cells are made out of proteins, which are made out of amino acids, which are made out of nitrogen compounds), so- though it will increase the soil organic matter, benefiting the soil over the long term, in the short term, your plants will suffer because they need nitrogen to grow. 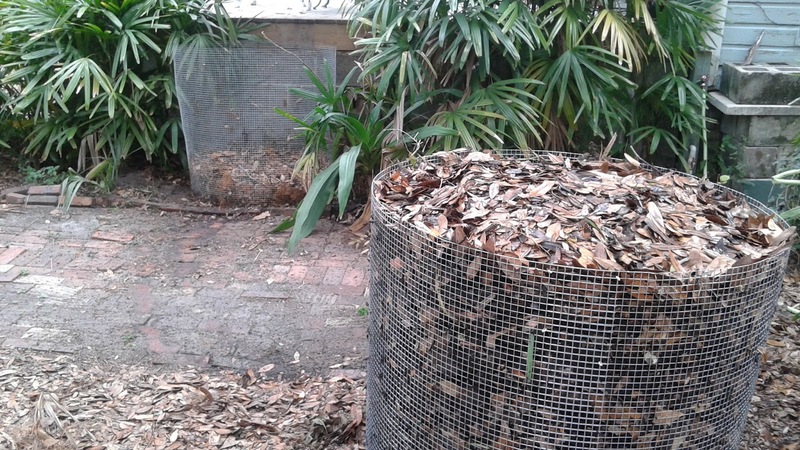 Alright, time to talk composting. I actually, wrote a post entitled My Compost System, so sift through that to learn how to compost. 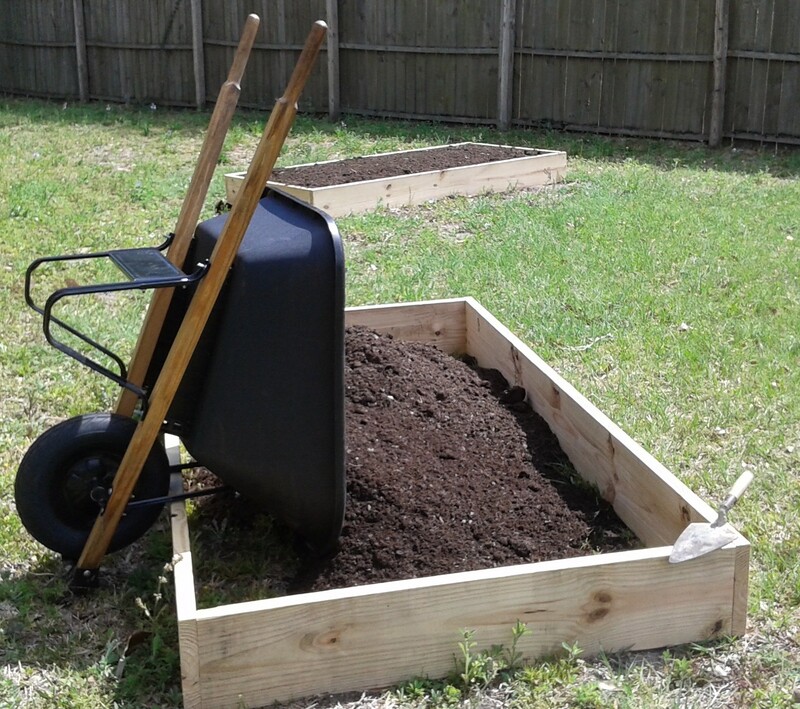 Once you've got your own system in place, each season, simply add another inch or two of finished compost to your garden beds before you plant. This will feed you plants (this season) as well as contribute to building the soil for the long-haul. This post is long enough, so I won't expound on cover crops, but since the concept is not widely known or practiced, I'll share a little. The basic idea is this: growing certain plants can serve as a "living mulch," which protects and builds the soil - both while the plants are alive and as they decay back into the soil once they die. Some cover crops (namely grasses like sorghum and oats) are terrific at "fixing" carbon, that is growing a lot of bulky material that will contribute to the organic matter content in the soil. Other crops (legumes, in particular, like beans and peas) have the ability to "fix," or capture nitrogen (the element that makes things grow big, green, and leafy) from the air into their roots, which, once the cover crop dies, will release into the soil like fertilizer. 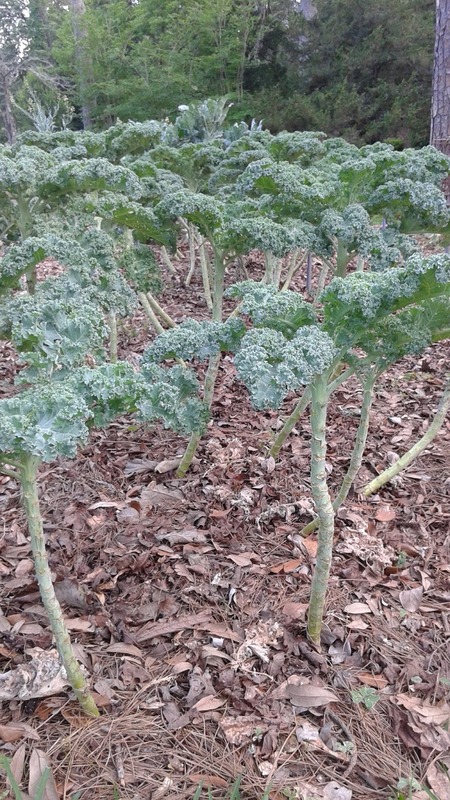 You may have heard of "green manures." This is another name for nitrogen fixing cover crops. For the rest of the quick and dirty on cover crops, find my "Cover Up that Soil!" quick reference guide on my resources page. If you want the definitive (while also quite readable) guide, download SARE's Managing Cover Crops Profitably. You can also, of course, combine these soil building techniques, which I did after graduating from college when I cultivated my parents yard once again in 2009-2011. The above picture is a sample of what our garden yielded in those years. To wrap, you've got two courses of action to build soil. You've got an easier, albeit slightly more expensive route: you can bring in a widely-endorsed compost-based soil mix to fill your beds and then topdress your garden seasonally to maintain productivity. If this route's for you and you're in NE FL, learn more about my Magic Mix HERE or request a delivery HERE. 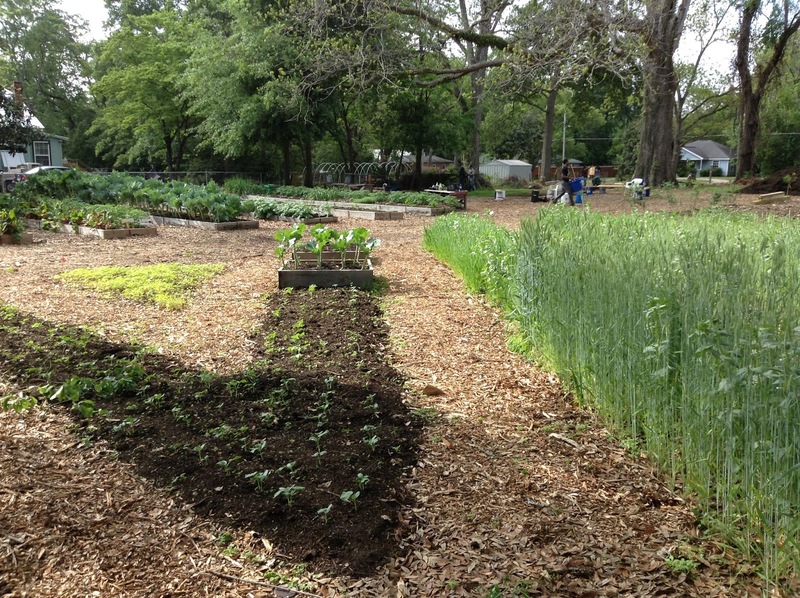 Though more involved, you can also build your soil yourself over the long-haul by mulching, composting, and cover cropping. If you go this route, you should also look into biochar and hugelkultur and explore ways to nurture the diversification of your soil food web. in growing food for self and neighbor, please, let me know how I can help or go ahead and book me for a site visit. 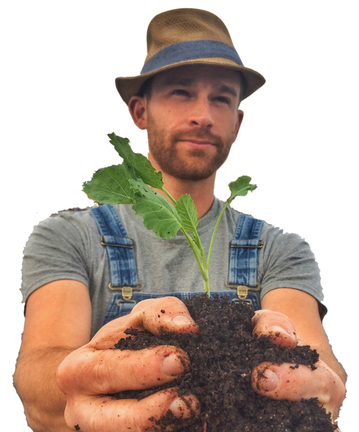 I offer turn-key food gardening support services here in NE FL and can support aspiring food gardeners in other places across the Deep South as well. To inquire about that, email me. in sharing my stories & expertise, please consider offering a donation to my tip jar and passing along this update to a friend. Each of my updates take 5-10 hours of resource gathering, writing, and editing, so I want to make sure they don't just sit on the digital shelf. 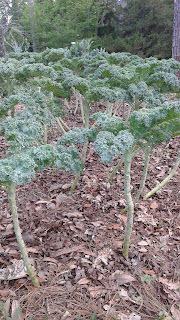 If you would like to receive my "semi-monthly" updates, which include a story and food gardening tip, please click here.